Please, follow the Guidelines to link with us, and give the page time to download! derogatory of the American Way of Life; or incomplete sites, with 404s, under construction, etc. The pages must not be restricted from search engines by using robots.txt or rel="no follow"
The link pages must not be in "frames." 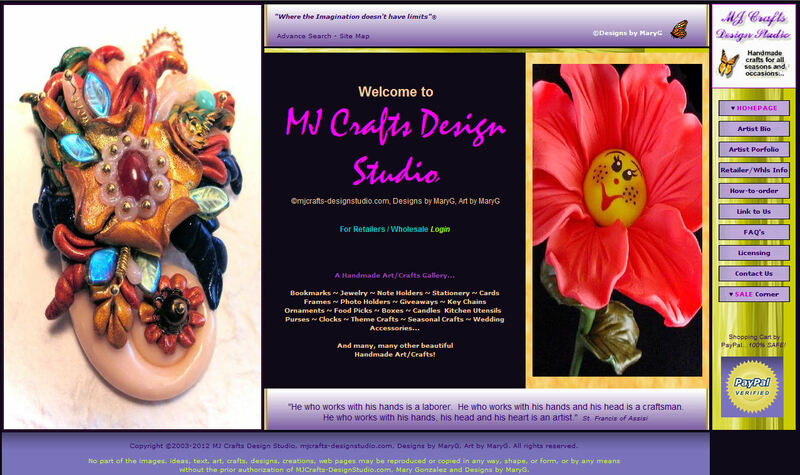 mixed-media handmade art/crafts...for all seasons and occasions! Unusual and Family Friendly! PayPal Verified! Description: Beautiful and Unique Collections...for all seasons and occasions! Unusual and Family Friendly!